I was quoted in The Washington Post this week about the lack of diversity in the environmental movement. As a result, we have received numerous requests to post job and intern listings. We don't mind posting these notices, but we are also not an employment agency. We are a small but scrappy environmental group that scrambles to address many issues with a very small budget. So if you want us to provide a service to you, please feel free to click on that donate button right over there to your right at the top of this blog page. We appreciate your interest in diversity and hope you can include African Americans in your organization. AAEA believes Southern California Edison can operate the San Onofre Nuclear Generating Station (SONGS) without undue risk to public health and safety. AAEA commends the U.S. Nuclear Regulatory Commission (NRC) for its exhaustive review of the steam generator situation at the San Onofre Nuclear Generating Station. 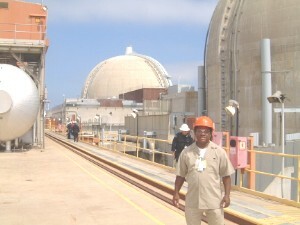 AAEA reached its conclusion after exhaustive review of the NRC evaluation of SONGS Unit 2 and Unit 3 steam generators. We believe the NRC has been thorough and that the licensee has been completely responsive to any and all Requests for Additional Information (RAIs) related to the Confirmatory Action Letter (CAL). As such, the NRC should grant permission for SONGS to restart immediately. Southern California needs the emission free electricity provided by SONGS. The state needs this emission free electricity in order to meet the goals of the Global Warming Solutions Act of 2006 (AB 32). Vulnerable communities need SONGS to mitigate smog in the region. The hundreds of SONGS employees facing lay off or job loss desperately need this employment. Moreover, the closure has cost San Onofre's owners, Southern California Edison and San Diego Gas & Electric, more than $470 million. The closure represents a significant burden for ratepayers who already face increasing electricity rates. The restart would mitigate purchasing imported electricity. We believe these great benefits can be provided by a SONGS restart and without risk to public health and safety. Edison has proposed re-starting San Onofre’s Reactor 2 at 70 percent power for five months. We believe this is a prudent proposal and NRC should allow it. The licensee shut down immediately upon detecting one of the Unit 3 generators was leaking and causing a tiny, but measurable, increase in the radioactivity of the normally non-radioactive water in the secondary (steam) side of the steam generators. We believe the licensee will shut down again if there is a problem because their principle concern is the safety of the public. AAEA opposes undergrounding the Chino Hills section of the line and the CPUC should reject this proposal. It is an unnecessary alteration of an already approved plan.The California Public Utility Commission (CPUC) should reject the Chino Hills underground transmission line proposal. 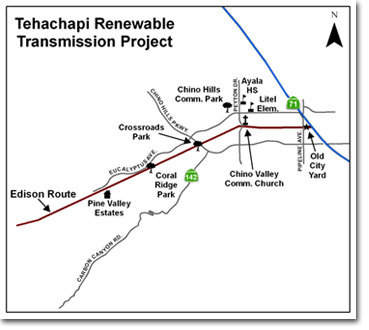 AAEA supports the timely completion of the Tehachapi Renewable Transmission Project (TRTP). California ratepayers do not need the significant increase in the cost of the transmission line simply to appease the aesthetic requirements of some stakeholders. These types of NIMBY stumbling blocks have been known to obstruct construction of needed infrastructure. AAEA is particularly concerned about threats to a project that provides emission free electricity to Californians. Such projects are welcome relief for those in minority areas that are disproportionately affected by pollution and have higher incidences of asthma. Any threat to TRIP is a threat to asthmatics. Any delay in TRTP delays mitigation of asthma in vulnerable communities. 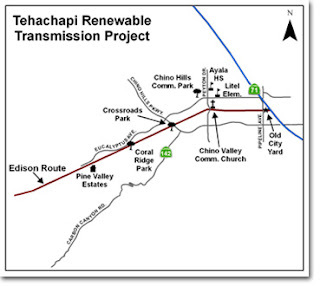 The underground proposal undermines CPUC's approval of the Alta Windpower Project in the Tehachapi area, one of the largest wind energy contracts in the United States. The underground proposal is also unacceptable because 12 of 16 transmission structures have already been completed as part of the approved overhead position in the existing utility right-of-way corridor. 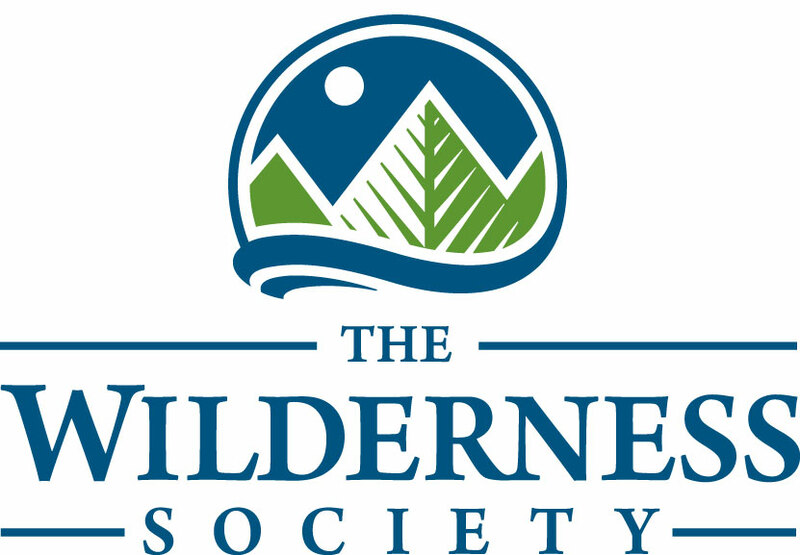 The Wilderness Society (Jobs Page) is an equal opportunity employer and actively works to ensure fair and equal treatment of its employees and constituents regardless of differences based on culture, socioeconomic status, race, marital or family situation, gender, age, ethnicity, religious beliefs, physical ability, or sexual orientation. We offer a very competitive salary and benefits package, including health and dental insurance and a pension plan. If one of our openings interests you, please send your resume and other requirements as directed. The Wilderness Society accepts applications for policy, communication, marketing and digital internships year-round. These positions are unpaid, but are available for school credit. The Washington Post made history today by quoting more black environmentalists in one article (or any article) than it ever has before. AAEA has a long history of 'calling out' The Post for its lack of coverage of environmental issues related to the Black community. We are seen as 'negative' when pointing out that the environmental movement has been and is segregated and elitist. Before Darryl Fears, The Washington Post environmental reporters, for the most part, only quoted people they know from the large green groups. Result: issues in the community most environmentally impacted get little to no coverage by the paper of record in our nation's capital. 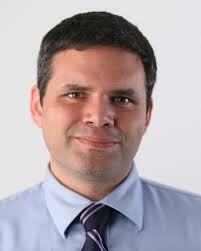 Darryl Fears changed that situation at The Washington Post today. And he pulled the lid off of the environmental movement's consistent exclusive nature. Wow. First a black president (twice), and now The Washington Post quoting black people on environment. I never thought I would live to see the day. Anyway, a very special thank you to The Washington Post for making Darryl an environmental reporter. And Darryl is not just limited to the black environmental section; he covers a variety of environmental issues. We just hope the other energy and environmental reporters will not think that the situation is covered now because 'that's Darryl's area.' Limiting perspectives on energy and environmental issues is a disservice to The Washington Post readers. The article featured our 2003-2004 Green Group Diversity Survey (and Report Card). The survey is still viable and groups are welcome to complete it and submit it to us for publication. Of course, none of the groups will do that because they are rich, fat and very happy with their self-indulgent elitist status. I've always believed that, although they will publicly express concern about their lack of diversity, they are secretly proud of their elite status. Much like the Republican Party. Fortunately, the result of such exclusion is the formation of a number of minority environmental groups. Thus, the hostility and elitism of the traditional green groups are avoided. And issues can be addressed from a standpoint that reflects an African American perspective on some of the important environmental issues facing us today. One mainstream group scored 'Excellent' on our scorecard: Environmental Law Institute. Three other groups scored 'Good' on the scorecard: Environmental Defense Fund, Natural Resources Defense Council, and World Resources Institute. The Chesapeake Bay Foundation assertively told us they would not complete the survey. 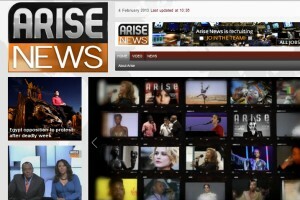 Center President Norris McDonald appeared on Arise TV on Monday, March 18th to discuss, "Nuclear Cure For Asthma." Also appearing on the show was Frank Fraley, Executive Director of Safe Healthy Affordable Energy (SHARE) and asthma specialist Dre. Aletha Maybank. The March 18 Program Segment can be seen at 1:07:30. The U.S. Environmental Protection Agency is turning to Matthew Tejada, a Houston activist, to lead the EPA's Office of Environmental Justice. As executive director of the Air Alliance Houston for almost six years (2007-2013), Tejada fought against pollution in poor neighborhoods surrounding Gulf Coast ports. Tejada is expected to begin his new role in early March. The black CEOs on Benzinga's list come from all corners of the country and lead public and private companies across all sectors of the economy. Adams founded JMA in 2005 following 24 years of service in the United States Air Force. Her vision has fueled JMA's growth into the #125 ranking in the 2012 Inc. Magazine 5000, including the #1 ranking in Washington, D.C. The company provides financial management, IT services, systems and concept engineering and program management to the federal government. A former General Motors (NYSE: GM[FREE Stock Trend Analysis]) executive, Anderson is the CEO of the Troy, Michigan-based TAG Holdings, whose subsidiaries include Korean and Chinese plumbing ceramics makers, automobile wheel-assembly suppliers and warehouse services. 2010 revenues were over $700 million. William Bailey is a former veteran who founded Rapier in 2002. The IT company is based in Matthews, North Carolina and landed a spot at #139 in the 2012 Inc. Magazine 5000 rankings. 2011 revenues were $3.6 million. This list wouldn't be complete without television's greatest female personality, Oprah Winfrey. Once told that she would never be fit for presence on TV, Oprah has created a niche in the daily lives of millions of people and has spun gold from her success. She currently sits as the CEO of the Oprah Winfrey Network, a joint venture between her former Harpo Productions and Discovery Communications. With a personal estimated net worth of $2.8 billion, Oprah finds herself at #168 in the richest people in the United States, #151 on the Forbes 500, #2 in the Celebrity 100 and #1 in TV/Radio. 5. Ulysses Bridgeman, Bridgeman Foods Inc. The former NBA 12-year veteran heads up the $500 million Manna Inc. and ERJ Inc., which combine to form one of the largest restaurateurs in the nation. Bridgeman manages over 320 restaurants, including 163 Wendy's (NASDAQ: WEN) and 120 Chili's, the latter operated by Brinker International (NYSE: EAT). 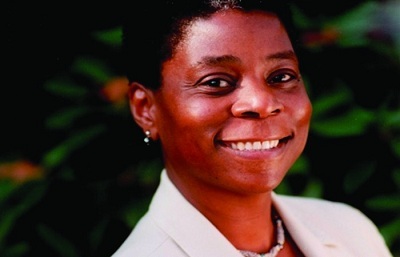 The document management giant is run by Ursula Burns, who became the first woman to head a Fortune 500 company in 2009. Xerox's (NYSE: XRX) 2012 revenues were $22.39 billion and its Fortune 500 ranking stands at #127. Chenault has been the CEO of American Express (NYSE: AXP) since 2001. The Long Island native has led the Fortune 500 (#95) corporation through unprecedented growth, with 2012 revenues totaling $33.80 billion. Chenault heads over 63,000 employees. 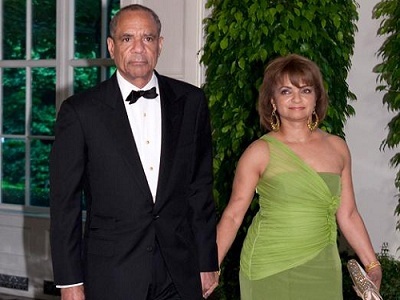 The former Vice Chairman of the Board of Governors of the Federal Reserve System, Ferguson is a Washington, D.C. native who took over as CEO of retirement provider TIAA-CREF in 2008. TIAA-CREF is ranked #88 in the Fortune 500. 9. Kenneth C. Frazier, Merck & Co., Inc. 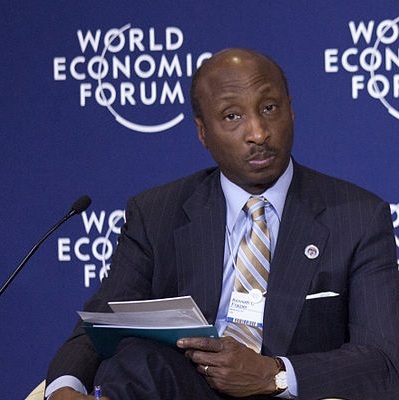 The Philadelphia-native became the head of pharmaceutical giant Merck (NYSE: MRK) in 2011. That year, revenues totaled $48 billion for Merck, which possesses a #57 ranking in the Fortune 500 and employs 86,000 people. Bridgewater has been one of the nation's leading auto parts suppliers since its 1998 inception. The Detroit-bred CEO of the company, Ronald Hall Sr., has led its growth, which included $1.6 billion in revenues in 2011. Its leading customers include General Motors and Ford. The North Carolina-native runs a billion dollar enterprise in ACT-1, which is now the nation's largest woman- and minority-owned employment-services company in the US. ACT-1 is a specialized staffing company. 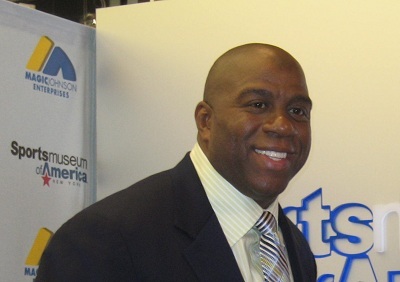 Highlighted by his recent $50 million stake in the purchase of the Los Angeles Dodgers, Johnson's eponymous enterprise owns a series of movie theaters, restaurants and health clubs across the country. More recently, the company has gotten involved in real estate development. The company's 2012 worth totaled $700 million. Johnson was the former head of Black Entertainment Television (BET) before it was swallowed up by Viacom (NASDAQ: VIAB). Johnson's kept plenty of skin in the game, however, founding the RLJ Companies, an asset management firm with an inkling for discovering undiscovered or undeserved markets. Johnson's private equity real funds have over $2 billion in combined assets and nearly $4 billion in additional purchasing power. Lawal runs the Houston-based CAMAC Energy (NYSE: CAK), a major oil and gas company involved in exploration, development and production, founded in 1986. 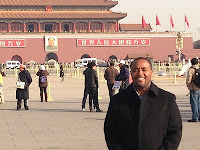 The Nigerian-born, American-raised CEO of CAMAC has operations in Nigeria and China. The company's annual revenue in 2010 totaled $1.5 billion. 15. Alex & Feysan Lodde, MV Transporation, Inc. The Fairfield, California-based company led by the husband-and-wife team of Alex and Feysan Lodde is the nation's largest privately held passenger-transportation contracting firm. Established in 1975, the company's revenue crossed the $700 million mark in 2010. ZeroChaos is a contractor for employers, offering professional payrolling, risk management and private label sourcing, among other services. Led by Harold Mills, the Orlando-based company ranked in annual sales of $700 million in 2010. Mills was previously an executive at Ameritech. 17. Clarence Otis, Jr., Darden Restaurants, Inc.
Darden Restaurants (NYSE: DRI) is one of the nation's largest restaurateurs and Clarence Otis is its CEO. With a rank of #342 in the Fortune 500 and 2012 revenues of $7.6 billion, the Otis-led company owns Olive Garden, Red Lobster, LongHorn Steakhouse and other chains, employing over 178,000 people as of 2011. 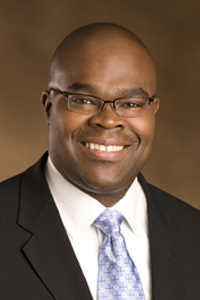 Reynolds is one of the biggest African-Americans in investment management today. His Chicago-based international investment banking and brokerage firm, Loop Capital, has grown by leaps and bounds, becoming the 6th largest municipal underwriter in the country. 19. David L. Steward, World Wide Technology Inc. The Stewart-led World Wide Technology Inc. offers a variety of technology products and financial services. Founded in 1990, the Maryland Heights, Missouri-based firm reached revenues of $3.2 billion in 2010. A Chicago native, Thompson became the CEO of McDonald's (NYSE: MCD) in 2012, a former electric engineer who first started at the fast-food giant designing robotic equipment and control circuits for transport and cooking, respectively. He was previously a fighter jet maker at Northrop Grumman (NYSE: NOC). In 2012, McDonald's revenues were $27.5 billion and the company was ranked #107 in the Fortune 500. 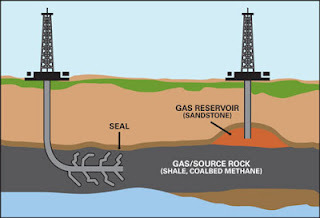 The African American Environmentalist Association (AAEA), is implementing an African American & Latino Energy Employment Program (ALEEP) that will connect job seekers with upstream oil and natural gas employers. IHS Global, Inc prepared a report for the American Petroleum Institute (API) in November 2012 entitled, "Employment Outlook for African Americans and Latinos in the Upstream Oil and Natural Gas Industry," which projects that 80,000 oil and natural gas jobs (20,000 for African Americans 60,000 for Hispanics) will be created between 2010 and 2020. The report notes that accelerated development would produce 113,000 jobs for African American and Hispanic workers by 2030. It appears that the oil and natural gas industry has the potential to provide almost 10,000 jobs per year for the next decade. AAEA will to help facilitate connecting oil and natural gas employers with potential employees. AAEA will reach out to companies, associations, organizations, colleges, community colleges, technical schools, trade schools, trade associations, individuals and others to facilitate implementation of the ALEEP. We will serve as a clearinghouse between these groups and individuals and oil and gas companies. AAEA will work with employment agencies and employment consultants in order to match companies with applicants. We will provide a national service that matches potential employees and employers in order to meet the demand for almost 1,000 jobs per month for the next decade. We will not duplicate the considerable outreach already underway via promotion of STEM programs, but we will assure that all STEM program promoters are aware of the ALEEP. We will focus significant effort on HBCUs and other universities. Our focus, however, will be on community colleges and trade schools. AAEA will visit as many of these institutions as our budget allows. AAEA will reach out to black fraternities and sororities. We will also inform the civil rights and environmental justice organizations about the job prospects in the oil and gas sectors. We will also seek out community organizers in every major city to make sure they and their constituents are aware of the ALEEP. AAEA will brief each member of the Congressional Black Caucus (CBC) about the ALEEP and will encourage them to share this program with their constituents. We will do the same for each state legislative black caucus. We will also reach out to black mayors and black county council. AAEA will present quarterly reports about its progress. The reports will be specific to each individual sector that we approach. Hard copy documents will also be produced to serve as a promotional tools for the ALEEP. AAEA will utilize its blog to disseminate information about the ALEEP. We will utilize links to the ALEEP as a major outreach tool. AAEA will be a one stop shop for employers and minority employees to connect with each other. AAEA will also facilitate these connections. We will utilize LinkedIn, Facebook, Twitter and other electronic media to publicize the ALEEP. AAEA will issue press releases and utilize every means necessary to alert the media to ALEEP. This will include press releases, press conferences, press meetings, personal appearances and all other means needed to publicize the program. The ALEEP can be a productive tool in recruiting minorities to the oil and gas industries. Our goal is to make 'black and brown jobs' as prominent as proponents have made 'green jobs.' America's energy future is at stake and AAEA is at the forefront of promoting the efficient use of natural resources. The ALEEP will be a major program in advancing our agenda. SUBTITLE 20C. MARYLAND OFFSHORE WIND DEVELOPMENT FUND. B) "ADVISORY COMMITTEE" MEANS THE MARYLAND OFFSHORE WIND BUSINESS DEVELOPMENT ADVISORY COMMITTEE. (1) MAY NOT RECEIVE COMPENSATION AS A MEMBER OF THE ADVISORY COMMITTEE BUT IS ENTITLED TO REIMBURSEMENT FOR EXPENSES UNDER THE STANDARD STATE TRAVEL REGULATIONS AS PROVIDED IN THE STATE BUDGET ON OR BEFORE DECEMBER 31, 2013. THE ADVISORY COMMITTEE SHALL CONSIDER OPPORTUNITIES TO MAXIMIZE LEVERAGING OPPORTUNITIES, MENTORING AND PROTEGE MODELS INNOVATION CLUSTERS, EXISTING INCUBATOR AND BUSINESS DEVELOPMENT PROGRAMS AND THE APPROPRIATE ROLE OF PARTNERSHIPS WITH THE STATE'S UNIVERSITIES AND COMMUNITY COLLEGES ON OR BEFORE DECEMBER 31, 2014,. THE ADVISORY COMMITTEE SHALL PROVIDE UPDATED RECOMMENDATIONS TO THE ADMINISTRATION ON COMPLETION AND SUBMISSION OF THE WRITTEN RECOMMENDATIONS REQUIRED UNDER SUBSECTION G OF THIS SECTION. THE ADVISORY COMMITTEE SHALL TERMINATE ITS OPERATION AND CEASE UNTIL THERE IS A MARYLAND OFFSHORE WIND BUSINESS DEVELOPMENT FUND IN THE ADMINISTRATION. THE DIRECTOR SHALL MANAGE AND SUPERVISE THE FUND. The Southern Environmental Law Center is accepting applications for an attorney position in its Charlottesville, Virginia office. This is a two-year position with the possibility of an extension to a third year. We are seeking a committed and energetic person with strong legal skills to work on a range of land use and transportation issues in Charlottesville and throughout Virginia. This is an excellent opportunity to join an organization that is successfully addressing some of the most important and challenging environmental issues facing the Southeast and the nation. The Southern Environmental Law Center is seeking an attorney with three or more years of experience to lead a regional solar energy initiative. The position will be based in either SELC’s Charlottesville, Chapel Hill, or Atlanta office, depending on applicant preference. This is an excellent opportunity to join an organization that is successfully addressing some of the most important and challenging environmental issues facing the Southeast and the nation. Charlottesville, Virginia Office The Southern Environmental Law Center is seeking a staff attorney with three or more years of experience for its Charlottesville, Virginia office. This is an excellent opportunity to join an organization that is successfully addressing some of the most important and challenging environmental issues facing the Southeast and the nation. To Apply: All applications must be in writing and include a letter of interest, resume, transcript, and at least three references. Applications should be sent as soon as possible to Katie Storer, Southern Environmental Law Center, 201 West Main Street, Suite 14, Charlottesville, VA 22902, or e-mailed to VAjobs@selcva.org . Department of Energy - Dr. Ernest J. Moniz is the Cecil and Ida Green Professor of Physics and Engineering Systems at the Massachusetts Institute of Technology. His research at MIT, where he has served on the faculty since 1973, has focused on energy technology and policy. Dr. Moniz also serves as the Director of the MIT Energy Initiative and the MIT Laboratory for Energy and the Environment. From 1997 until January 2001, Dr. Moniz served as Under Secretary of the Department of Energy. Prior to that, he served as Associate Director for Science in the Office of Science and Technology Policy in the Executive Office of the President from 1995 to 1997. 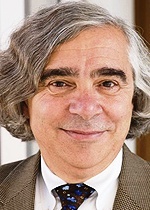 In addition to his work at MIT and the Department of Energy, Dr. Moniz has served on a number of boards of directors and commissions, including the President’s Council of Advisors on Science and Technology (2009-Present), the Department of Defense Threat Reduction Advisory Committee (2010-Present), and the Blue Ribbon Commission on America’s Nuclear Future (2010-2012). Dr. Moniz is a Fellow of the American Association for the Advancement of Science, the Humboldt Foundation, and the American Physical Society. In 1998, he received the Seymour Cray HPCC Industry Recognition Award for vision and leadership in advancing scientific simulation. 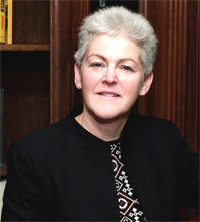 Environmental Protection Agency – Gina McCarthy is currently the Assistant Administrator for the Office of Air and Radiation at the U.S. Environmental Protection Agency. McCarthy was appointed Assistant Administrator in 2009 after having served as the Commissioner of Connecticut’s Department of Environmental Protection (DEP) from 2005 to 2009. McCarthy came to the Connecticut DEP from the Commonwealth of Massachusetts, where she began her career as Canton, Massachusetts’ first full time health agent in 1980. She went on to serve the Commonwealth for 25 years in a variety of environmental positions, including Undersecretary for Policy at the Massachusetts Executive Office of Environmental Affairs and Deputy Secretary of the Massachusetts Office for Commonwealth Development where she was in charge of coordinating environmental, transportation, energy, and housing agency policies.